In our quest for enhancing our product features and it’s usability, we are happy to announce version 3.3! 3.3 is a pretty large update, here’s what’s new in the pack. 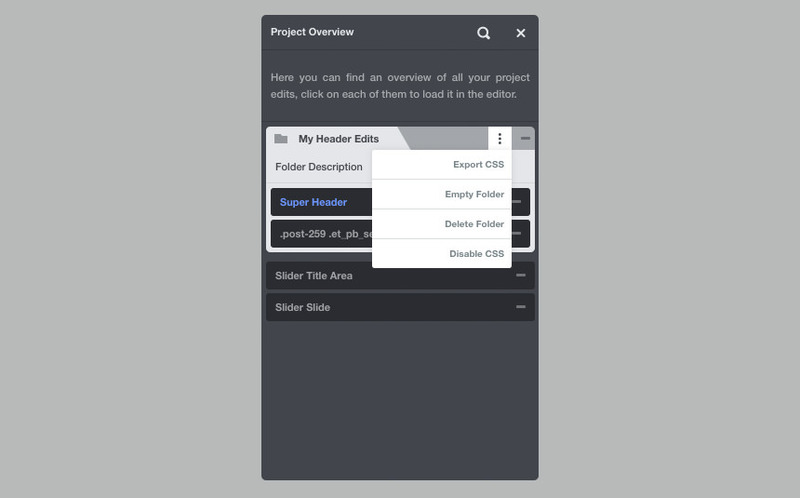 – You can now choose to edit an element normally or by specifying a context in which that element must be edited. Contexts include: pages, templates and ‘only-this’ which will help you individually styling elements which appear multiple times. 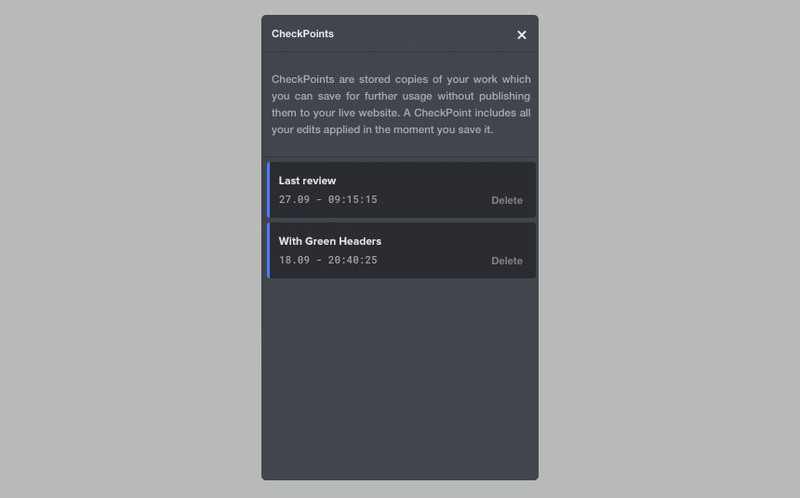 – Now you can store instances of your edits as CheckPoints – without necessarily publishing them. 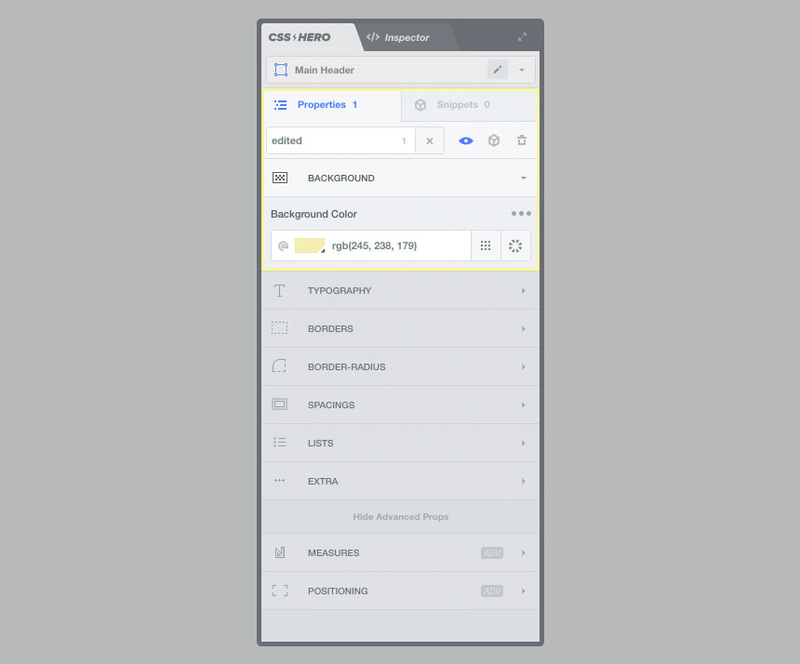 Build design variations and store them on the fly, when you’re satisfied go live and publish . – This function will allow you to browse and apply customisations to your website as an unlogged user would see it. Styling comment forms, logins and whatever is visible while not-logged-in is now possible.